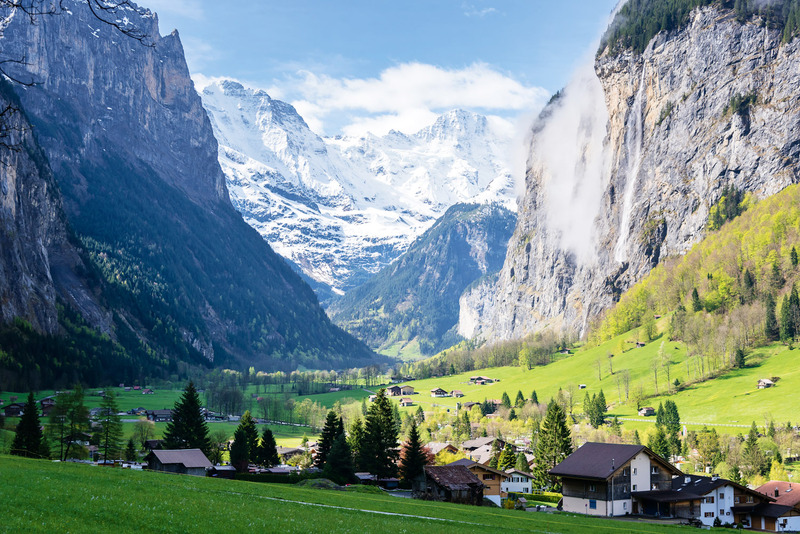 The spectacular Lauterbrunnen Valley, near Grindelwald in the Bernese Alps. 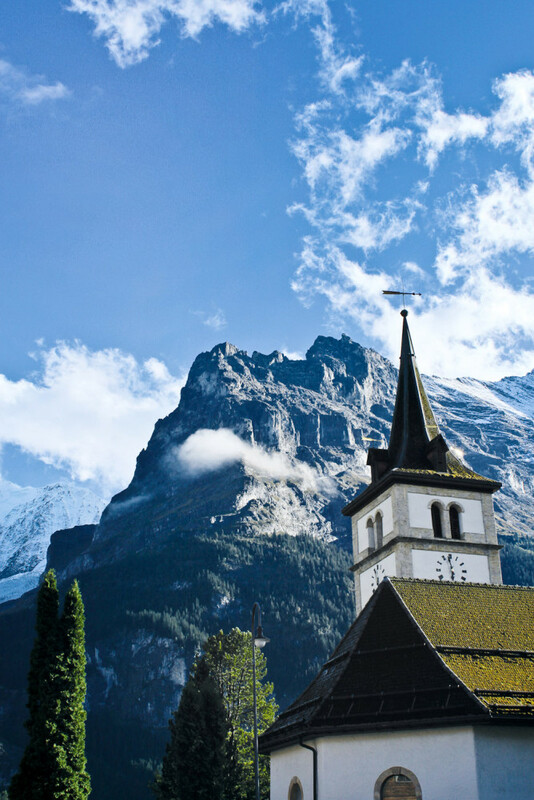 Grindelwald’s church set off by the surrounding peaks. 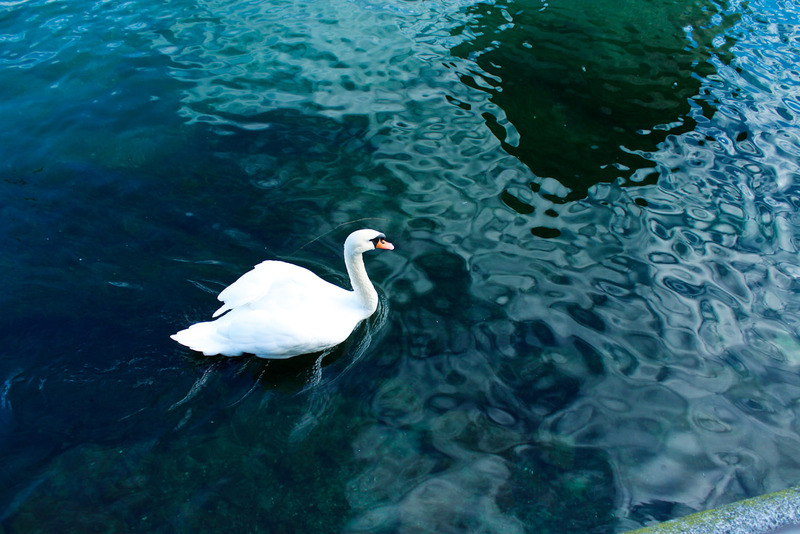 Swans gliding on the Reuss River. 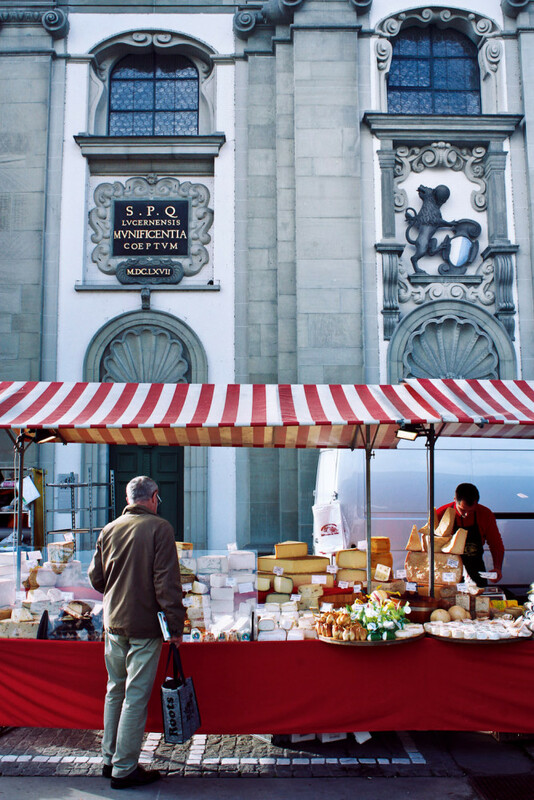 Lucerne market – great for traditional Swiss goods. 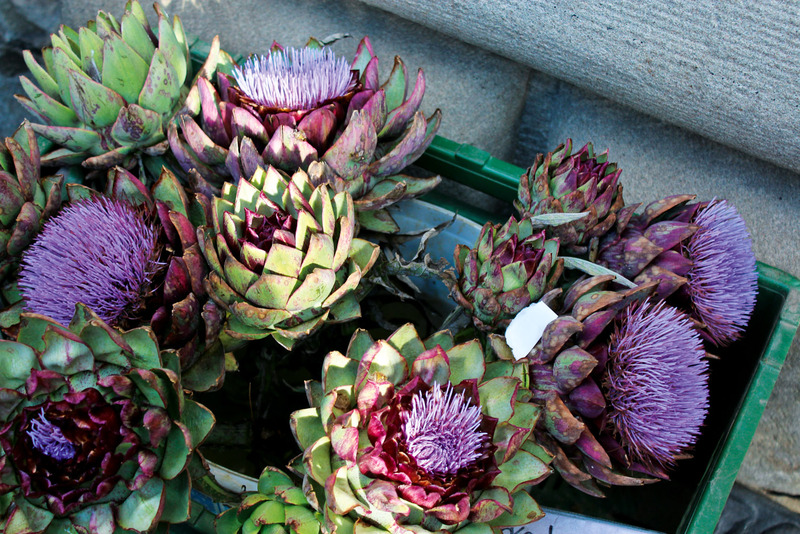 Blooming artichokes for sale at the Lucerne market. 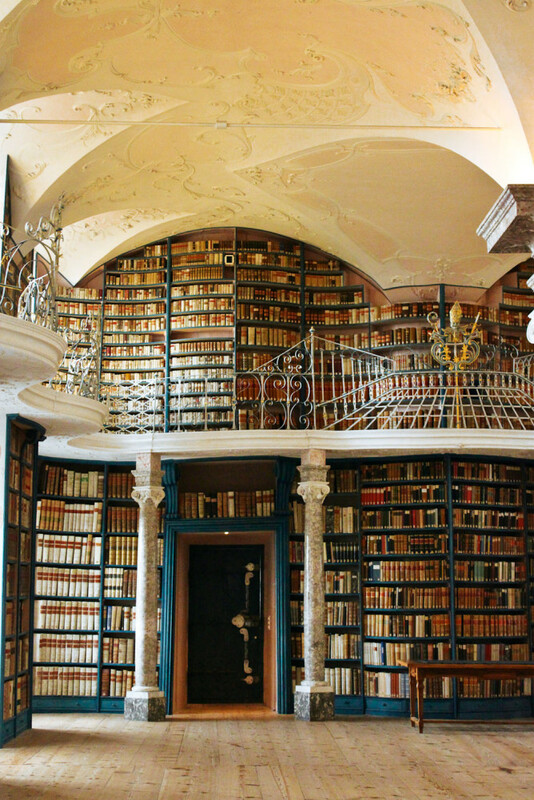 The stunning library at Einsieldeln Abbey. Dairy cows - a common sight on country roads. The Reuss River carves its way through Lucerne. 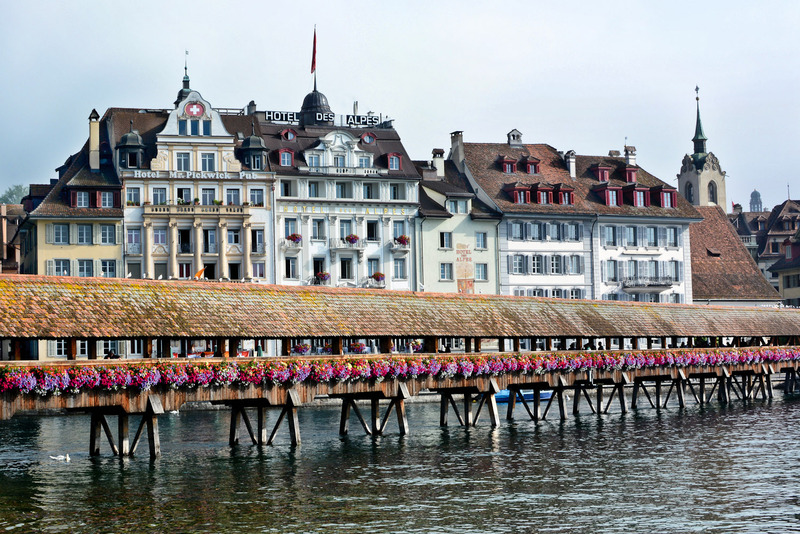 The beautiful medieval Chapel Bridge in Lucerne. Winding cobbled streets in Zürich. A picturesque country road near Interlaken, Switzerland. 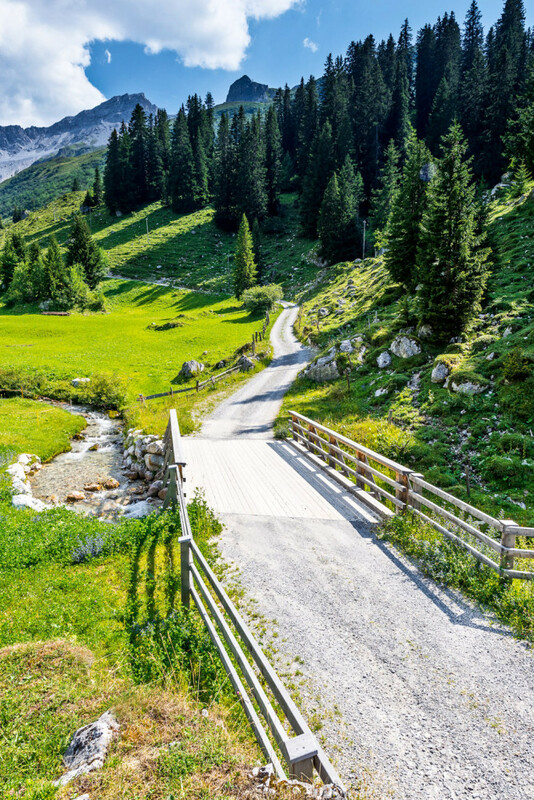 A roadtrip through the Swiss alpine landscape reveals a country that really is as picturesque as its postcards… GPS notwithstanding. Words Leigh-Ann Pow. Surely I am going the right way. A sign a few kilometres back seemed to confirm as much – Grindelwald 20 kilometres. But it is black as pitch outside the window of the car and the voice on the GPS is not so sure. “Turn around when you get the opportunity,” she instructs rather petulantly. The fact that I am on a narrow road full of bends rules this option out. I had arrived in Switzerland, the spectacularly mountainous country at the heart of Europe, early the same morning. I am here to do a leg of the Grand Tour of Switzerland, an epic journey that circumnavigates the country. But there will be no trains involved (except for the one that will take me from Zürich to my starting point of Vevey). Switzerland is famed for its efficient and far reaching train system; indeed it is how most people get around when discovering the country. I will be driving. I love driving! Back on the road to Grindelwald, in the Jungfrau region of the Bernese Oberland, and the GPS and I have come to a détente; it is now in the glove compartment (still barking instructions, but suitably muffled) and I am trusting road signs and the detailed instructions I had been given as I was leaving Interlaken. The fact that I am driving in the dark on my first night in Switzerland is not completely my fault. I had made a mental note to myself to leave plenty of time to drive from Interlaken, the first stop on my grand tour (Gstaad was supposed to hold this honour, but it was raining heavily when I picked up my hire car and the attendant was adamant that the winding journey would be a waste of time as I would see absolutely nothing when I got up there), to Grindelwald given I was still familiarising myself with driving on the opposite side of the road, and on the opposite side of the car. But then I found myself on a 10-minute funicular railway journey up the side of Harder Kulm, Interlaken’s local mountain, arriving 1322 metres above sea level at a breathtaking lookout platform, and a charming restaurant perched like a fairytale castle at the tippity top of the peak. It didn’t take much cajoling to convince me to take a seat. And maybe a bite to eat (the first of many meals that would involve cheese). Sitting in the late afternoon sunshine, with Interlaken spread out like a miniature village below and the imposing trio of the Eiger, Mönch and Jungfrau mountains dominating the horizon, my concept of size and height needed to be drastically recalibrated to take in the sheer drama of everything around me. As I stared in wonder, time floated away. So what was supposed to be a 30-minute journey ended up taking a good hour and a half (I turned around at least once and drove through a little cluster of houses to a dead end at a cow paddock before I stopped listening to the haywire GPS), but when I eventually arrive in Grindelwald it is a cinch to find my hotel, The Belvedere (belvedere-grindelwald.ch), all lit up and sitting at the top of a hill. The town is quiet and it is late so I decide to leave exploring until the morning. As I fall asleep I can see a pinprick of light in the sky, obviously a star high up in the dark night. Waking the next morning, I throw back the curtains to be greeted by a vista of awe-inspiring beauty: the Eiger, its hulking form dusted with snow, fills the floor to ceiling, wall-to-wall windows of my room (the light I thought was a star the night before was actually a beacon, and it is only half way to the top – no wonder the GPS went haywire the night before). Its savage granite surface sits in stark contrast to the town of Grindelwald at its base, with its lush, green pastures and picture postcard, dark-wood chateau houses decorated with planter boxes spilling over with red geraniums. The Eiger is not on my itinerary today though. Rather, I am heading in the other direction, up the Grindelwald First, a much smaller summit by comparison to its neighbours, but still high enough that my delightful guide Evelyn tells me she has tablets on hand for altitude sickness, just in case. Conquered by a gondola cable car, Grindelwald First is famed for its outdoorsy pursuits: there’s the First Flyer, an intricate flying fox-style ride that stretches over 800 metres of cable and reaches speeds of 84 kilometres an hour; numerous hiking trails; and the brand new First Cliff Walk, a combination of a 40-metre long, one-rope suspension bridge, climbing stairs and a 45-metre observation platform. I’m not really the thrill seeking type, but whether or not I partake in the various activities on offer becomes academic as we start our journey up the mountain, and the cloud that is shrouding the peak becomes impenetrable. At the top there’s nothing but white in every direction. We head to the restaurant and sit by the window to wait it out. Suddenly the cloud clears and the vista of peaks is contrasted against blue skies. I feel like I could almost touch heaven from here. We head outside in the hope that this break in the weather will hold, but by the time we get down the stairs the sky, the mountains and our plans for the rest of the day are gone. I am silently relieved, happy to watch the wonder of nature; the ebb and flow of the clouds. Later I have time to explore the town itself, with its main street bustling with hikers and day-trippers, before hitting the road again. 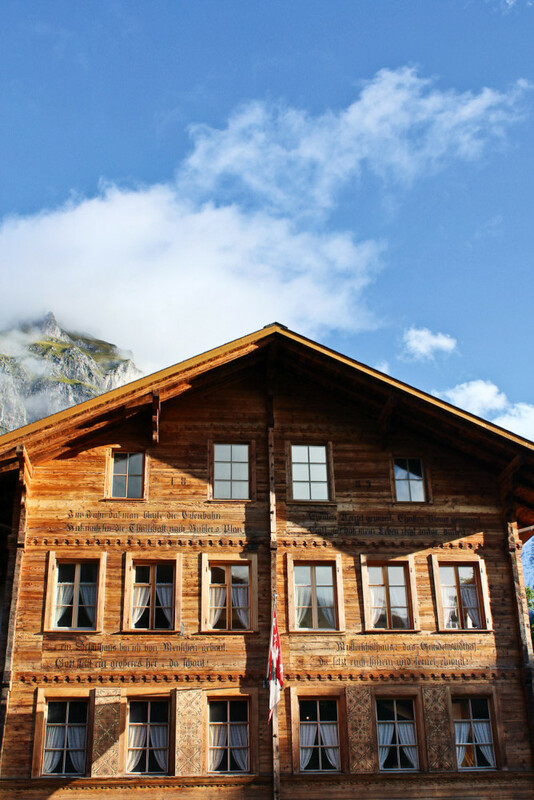 Leaving Grindelwald behind, I set off for the Swiss capital of Bern along backroads carved through bucolic cow pastures dotted with traditional farm houses and punctuated by quiet little villages. I am amazed at how many delightful stereotypes are ticked along the way. I reach the edge of Bern and trust my GPS to navigate me to the centre of town (we are on speaking terms again). 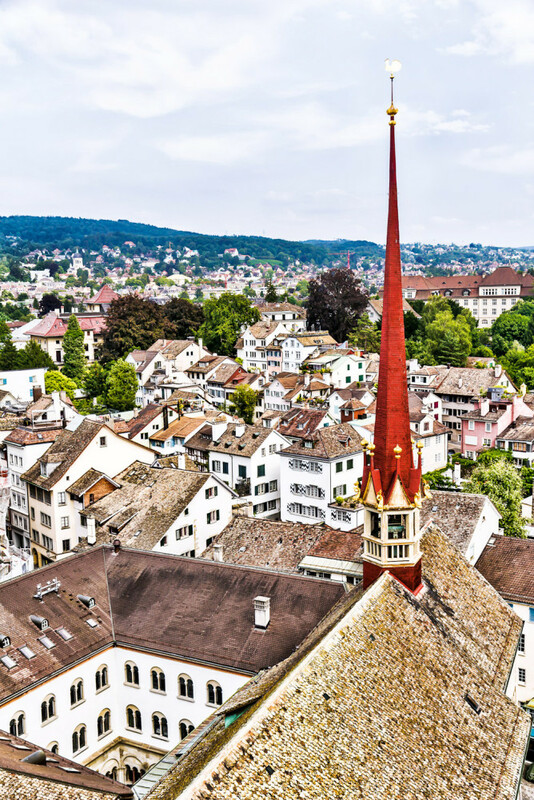 A UNESCO World Heritage site since 1983, Bern’s tightly packed medieval Old Town has evocative cobbled streets, grand Renaissance fountains and beautiful arcade walkways filled with little shops and cafes. The higgledy-piggledy red rooftops of the old houses is my favourite vista in the city. I wander this way and that for a while and then find a cafe to partake in my new favourite Swiss treat: dunking a croissant (Swiss ones are less buttery and flaky than the French equivalent) into a steaming cup of hot chocolate. Back in the lush countryside the road returns to the gentle pattern of cows, farmhouses and towns, many with pretty main streets of traditional buildings. 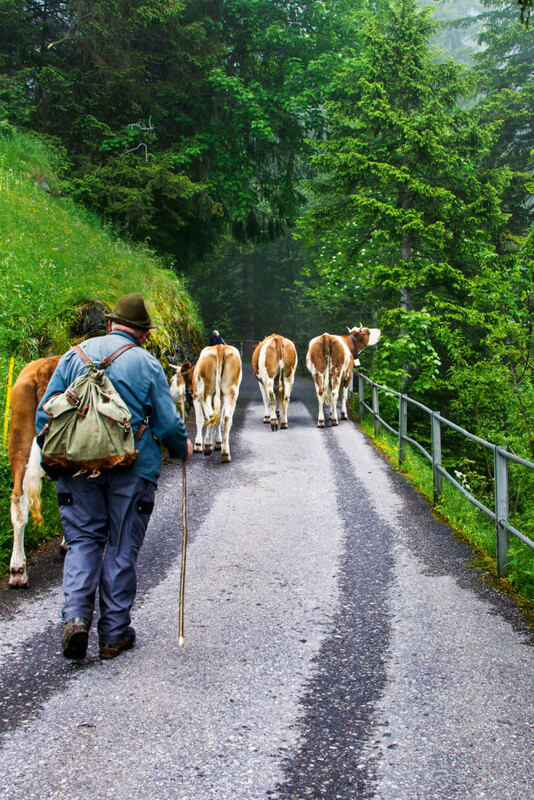 The road to Lucerne passes through the UNESCO Entlebuch Biosphere, a natural nirvana covering 400 square kilometres at the foot of the Alps. 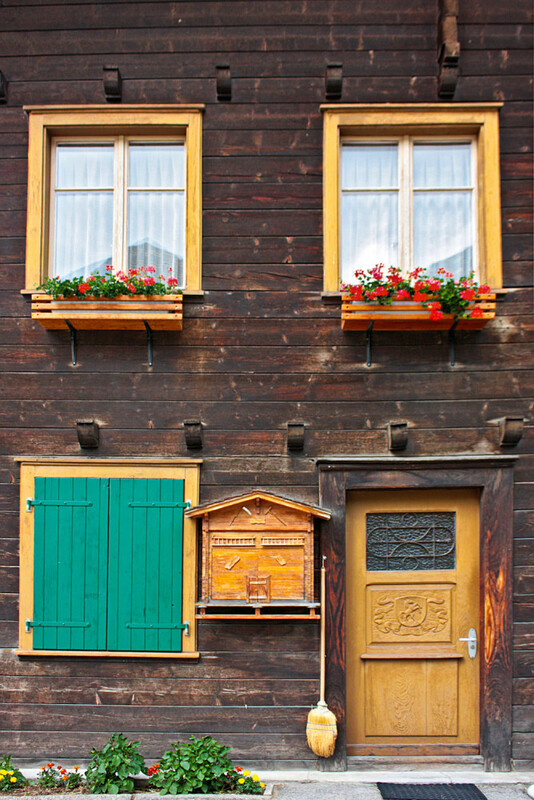 Entering Lucerne is an easy affair, revealing a picturesque lakeside city that has a relaxed, friendly buzz about it. After locating my hotel – the funky Hotel Ameron Flora (ameronhotels.com), right near the lake – I set out to find the delightful Chapel Bridge, a covered wooden pedestrian bridge originally built in the 14th century. It’s at the end of the road. Festooned with flowers, with white swans gliding below it, this really is the stuff of fairytales. The city is perfect for wandering in, criss-crossing the River Reuss over the various bridges that span it and losing yourself in narrow cobbled streets. This is how I happen upon the Museum Sammlung Rosengart (rosengart.ch), with an impressive collection of works by Pablo Picasso. Heading out of Lucerne, the city suddenly melts away as the buildings become less frequent and the vista becomes Lake Lucerne on one side and lakeside mansions on the other. One hour into the journey to Einsiedeln the exquisite town of Schwyz comes into view. This region is famous for being the birthplace of the Swiss Army Knife, but it is the beautiful medieval town centre here that fascinates me. The grand buildings, many painted with historic murals, have seen plenty of history: from the 16th century the men of the area were often forced to serve in foreign armies and returned wealthy, building houses that still stand proud today. Thirty minutes on and the town of Einsiedeln looms in the distance, dominated by the hulking baroque abbey that everyone comes here to see (turning off the main road towards the abbey I find myself suddenly staring into the face of a cow, its owner slowly herding it into a nearby farmyard). Inside the church I crane my neck to look at the opulently busy ceilings, but it is the library, reached by passing a heavy, locked wooden door that leads to the cloisters, which literally takes my breath away: its exquisitely curved walls and vaulted ceilings house shelves packed with thousands of historic tomes, with thousands more stored below. It is one of the most exquisite rooms I have ever been in. The last leg of my little piece of the Grand Tour of Switzerland is along Lake Zürich, with intermittent towns (including Rapperswil with its bustling, pretty centre and castle) turning into the outskirts of the city as the lakeside mansions that can be glimpsed over the high walls and gates that encircle them steadily increase in number and grandeur. I expect Zürich to be a much larger prospect than it is – driving into town along the water and finding my hotel (Hotel Ambassador) is relatively easy given the city is largely devoid of the kind of urban sprawl that can mar first impressions of other cities. 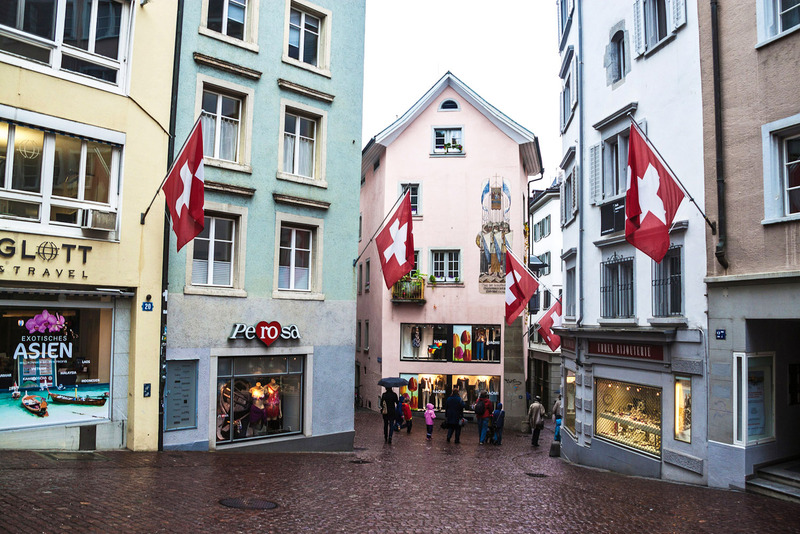 I join a walking tour of the old town the next day, climbing to the Lindenhof up cobbled streets, past merchants’ houses and some of the 1200 fountains that spout fresh, drinkable water constantly. 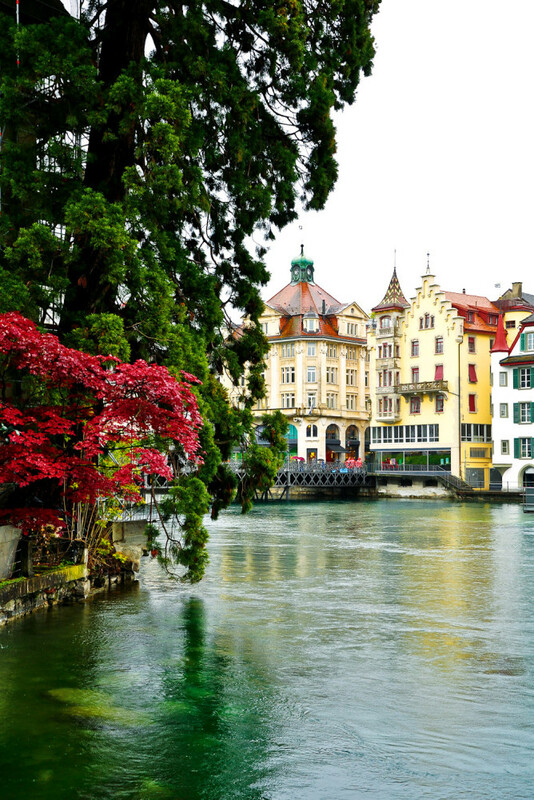 The Lindenhof is where locals come to relax and enjoy their city. to the hill rising on the other side. There are no high rise buildings, no soulless CBD in spite of this being a financial hub; it’s all picturesque and manageable and delightfully Swiss. in the 9th century, can be accessed simply by going to the local tourism authority and asking for a key. On my last day in the city I set out to take my hire car back, once again relying on my GPS (we were old friends by now). What should have been a 10-minute drive to the other side of town ended up taking 40 minutes as it navigated me through residential streets and into parts of the city I would never have otherwise seen. And I was absolutely sure I was going the right way. Cathay Pacific flies daily to Hong Kong from most Australian cities, with Swiss Air flying from Hong Kong to Zurich daily. Europcar has outlets throughout Switzerland; my Audi hatch got me from Vevey to Zürich with a quarter of a tank to spare. Chocolate, of course! A huge range of sweet treats, including Lindt, is sold at supermarkets like Migros. I drove from Lauterbrunnen to Grindelwald and the sign said 20km as well, but the gps took me up a high alpine road that had tunnels through the mountains. anyone know the name of this scenic/scary road pls?